Definition - What does Firefly Pose mean? Firefly pose is an arm balancing posture that requires a high level of flexibility. To enter the pose, squat with the feet slightly less than shoulder-width apart. Tilt the pelvis forward so the torso dips between the legs. Straighten the legs to lift the pelvis to knee height, then slide the upper arms and shoulders behind the thighs. Place the palms on the floor outside of the feet, then lift the feet off the floor. Extend the legs, stretching them upward as the arms straighten. Firefly pose is also called tittibhasana in Sanskrit. Firefly pose can be quite challenging for beginners. These individuals should practice the pose slowly, straightening the legs as much as possible. 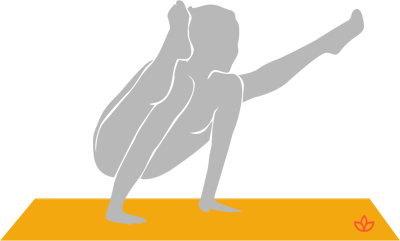 Even if the pose can only be held for a few seconds at first, the duration will increase as the practitioner gains balance.